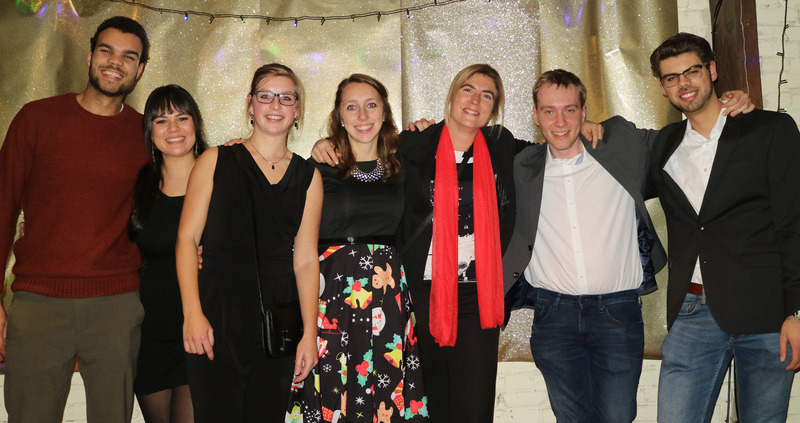 We are a young lab in the field of chemical biology and sandwiched between the Radboud University and the Radboud Institute for Molecular Life Sciences in Nijmegen (NL). We combine organic chemistry with molecular biology and biochemistry to target and answer biological questions related to autoimmune- and protein misfolding diseases. Merry Christmas and a great 2019! Presented our work on antigen-selective cell targeting at Chains 2018 in Veldhoven, NL. 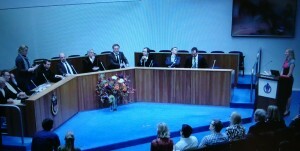 The chemistry conference in the Netherlands with more than 1500 participants! What a special day! 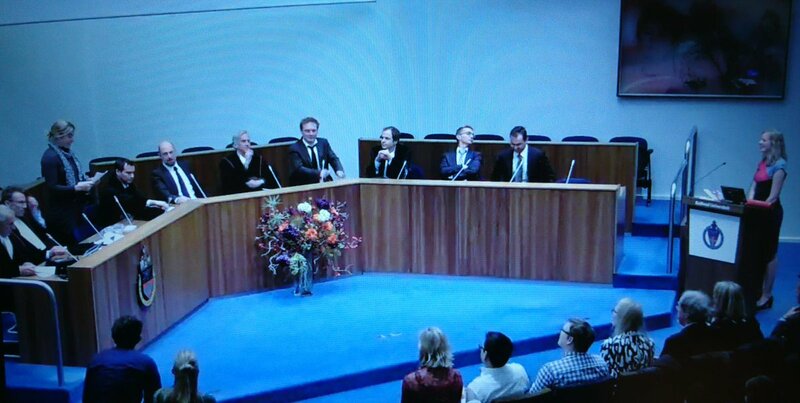 Selma Eising, the first PhD student from the lab, successfully defended her thesis on coordination-assited bioorthogonal chemistry! Well done! Welcome PhD student Bob Ignacio and master students Timo and Kevin! Invited at IRB Barcelona to present our work. Thanks for the opportunity and what an inspiring place! Presented our work on coordination-assisted bioorthogonal chemistry at EMBO Chemical Biology Symposium. What a great conference with great speakers in the field, again!! So honoured to receive an ERC starting grant! In this project inCITe we will use chemical strategies to reveal the secrets of protein citrullination and find the link with many autoimmune diseases. Announcement found here (in Dutch) and an interview in the local university magazine VOX together with my SO followed from the Tweet: Two science careers Two kids Two ‪ERC starting grants! 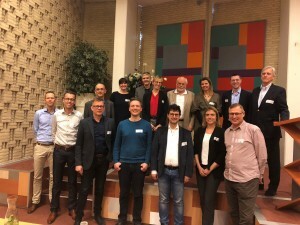 Present at our organized KNCV international meeting on Organic Chemistry in Wageningen. What a great line of speakers! Thanks for attending! VBA’s taking off as bioorthogonal reactants in living cells! Lianne presented her work at CHAINS 2017 on selective targeting of B-cells. Great to see so much audience and great response! Welcome Xian and Mike to the lab! Good luck with the chemistry (and some biology?)! Welcome Abel to the lab! Hope the VBAs treat you well the next 6 months! Kim attended the Gordon Conference on Bioorganic Chemistry at Proctor Academy, Andover, NH. What a great meeting with great science! Kim presented at the Designer Biology conference in Vienna. Great to have so many scientific disciplines combined! 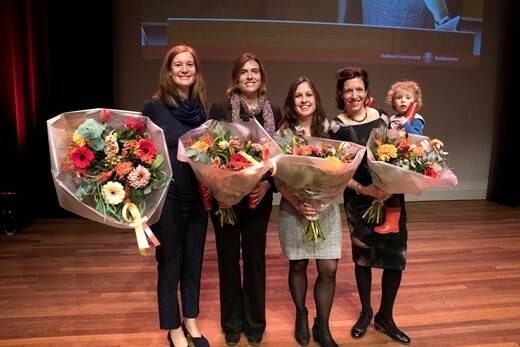 Kim received the Radboud Network of Female Professors Award 2017 in the Natural Sciences category! What a great honor! More information here. Welcome to the lab Laura! Welcome Yvonne and Veronica to our lab and good luck with your master internships! Happy new year! Wish you all the best with great science and discoveries! Angelina and Nicole joined the lab for their master internships. Good luck! Congrats to Selma for publishing her paper on vinyl boronic acids as bioorthogonal reactants with tetrazines in Angewandte Chemie. Great work! Tim, Marijn and Jurriaan started their internships in our lab. Welcome and good luck! 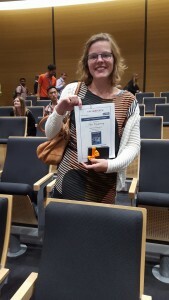 Fleur won the ChemBioChem Poster Presentation Award at the EMBO conference on chemical biology. Congrats (again)! Selma, Fleur and Lianne presented a poster on the EMBO conference on chemical biology in Heidelberg. What a great and inspiring meeting with excellent speakers and posters! Selma presented her latest results on our vinyl boronic acids in bioorthogonal labeling at the KNCV organic chemistry symposium in Wageningen, NL. Congrats again! Fleur received a poster prize at the sIMMposium 2016. 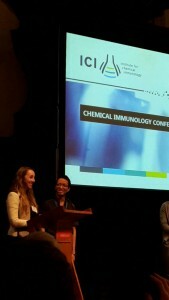 Lianne and Hendy won a poster prize for their joint presentation at the 2nd Institute for Chemical Immunology conference. Well done! Ralf and Lieke joined the lab for their research internships. Good luck! From 300+ posters Fleur won a poster prize at CHAINS2015! Congrats to Fleur and Selma on their work on the subcellular labeling technology which was awarded a Poster Prize at the autumn school chemical biology in Konstanz! Yvonne received her Radboud Honours Academy Certificate. 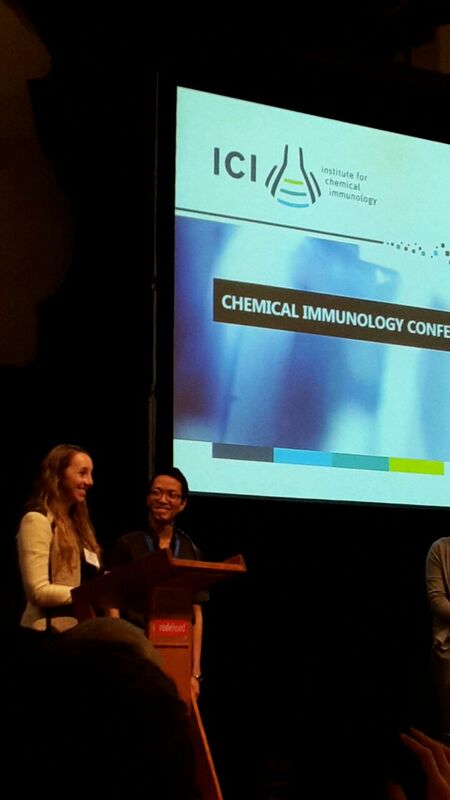 Selma and Fleur both received a travel grant to participate in the autumn school chemical biology in Konstanz! 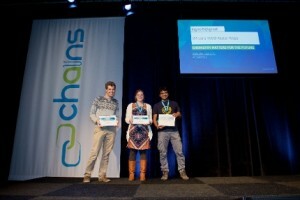 Selma is selected to give an oral presentation at CHAINS2015!